Festival season is upon us and the award winning Outlook is soon to open it's fort doors once again. Set in the grounds of one of the most stunning festival sites in Europe, an abandoned fort on the Adriatic coast, Outlook truly has to be experienced firsthand to be understood. If you still need convincing why to join them for 4 days and nights of music, beach parties & boat parties, continue reading below! Onto the acts, WOW. What an absolute sick line up. But let me tell you my top 5 acts that shouldn't be missed! A soul project from two of Manchester’s most respected artists Konny Kon & Tyler Daley. Konny Kon is a DJ, MC and beatmaker best known as one third of Broke’N’English alongside fellow Mancunians DRS and Strategy. Tyler Daley, also known as Hoodman went from being a respected MC and actor to one of the most in demand soul singers of recent times, lending his vocals and writing credits to music from Goldie, LSB, Soul II Soul‘s Caron Wheeler, Lenzman, Lisa Mafia, Bugsy Malone, and more. Camden born rapper Ocean Wisdom spent years perfecting his craft. Once hailed as “the future of UK Hip-Hop” by Complex Magazine. In 2016, Ocean Wisdom dethroned Eminem as the ‘fastest rapper’ after managing to fit an impressive 4.45 words per second into his track ‘Walkin’ compared to Eminem’s 4.31 words per second in ‘Rap God’. Watch out for his track Revvin'. 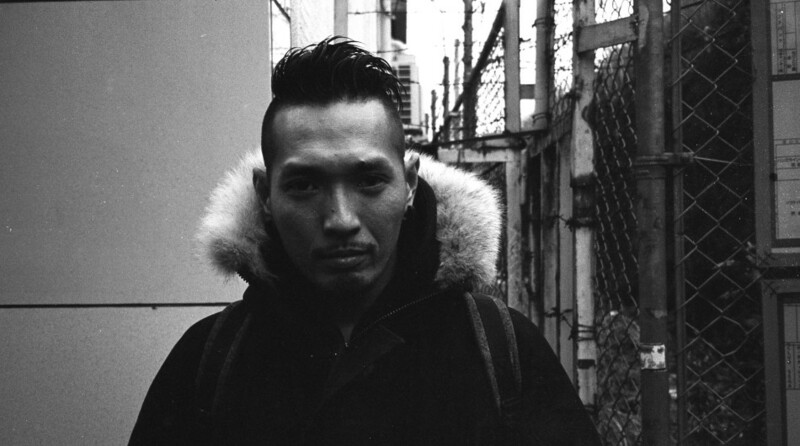 A unique producer with a unique style, Goth-Trad has emerged from the Japanese electronic scene in the last decade as one of the most arresting artists from his generation. ‘The Sound Originator,’ Goth-Trad creates remarkable dance music with an abstract approach. Travelling the world Goth-Trad has been noted as one of the most important voices in Dubstep. If you love experimental sounds, this is the act for you. Does this guy need an explanation?! No way near retiring yet, Goldie has been on the scene since the 90s and he's not showing any signs of slowing down with his newly released album 'The Journey Man' - Do not miss a spectacular performance of his originals & new! If you're after something a little different, let me reccomend you give some time to Mungo's Hi-Fi, it's not often the words Scotland & Jamaica are in the same sentence, but these guys make it work. Mungo's Hi-Fi are a dub reggae, dancehall and dubstep soundsystem in the original roots tradition based in Glasgow. Tom Tattersall, Douglas Paine and Craig Macleod debuted in 2001 with Wickedness feat Brother Culture on London’s Dubhead label, taking the dub world by storm and getting heavy plays from Jah Shaka and Iration Steppas. What do you imagine when you see the word Switzerland? Luxury, mountains, cows, bells, cheese? Well you'd be correct, Switzerland is just as incredible as you imagine. Stunning scenery, the clearest of waters and gorgeous food are just three of the reasons you need to visit. We started our journey by landing in Zurich to blue skies. We jumped on the train, which by the way is super easy to use and wandered upon a great restaurant at the 25hours hotel. Unknown to me, our guest house was in the 'red light district' - this didn't cause any problems, great nightlife and some fabulous cafes were scattered everywhere. We checked in at Gasthaus zum Guten Glück to a stunning contemporary room and a very clean bathroom. The service, food and drinks were exceptional and unrivaled in the area. A lovely waitress pointed us in the direction of an amazing bar area which is made up of containers, tents and wood. Absolutely stunning. The next morning, ignoring our hungover headaches we strolled to the Hertz rental place near the trainstation. We were given a stunning Nissan X-Trail SUV thanks to Holidayautos.com. This car was amazing and definately made our road trips even more exciting and mountain driving easier! On our way to the next stop Lucerne/Luzern we stopped off at Lake Zurich for some culture, sun and swimming. It was the most precious memory i have, swimming in clear waters with snow drapped mountains in the background with my friends. After a beautiful swim and sun soak we continued our journey onto Lucerne. A stunning compact city in Switzerland known for its preserved medieval architecture, sits amid snowcapped mountains on Lake Lucerne. We explored on foot and found the famous Kapellbrücke which is a covered wooden footbridge with flowers all across. That night we ate a Mamma Leone which is a beautiful family owned italian restaurant making fresh food for a great price (cheap for Switzerland!). Finally on the last night we travelled to the vast mountains of Grindlewald (exciting name for Harry Potter fans). Here we stayed at the Mountain Hostel - which is my first time in a hostel and i must say it was a positive one! This was our most actioned packed day by far. We trecked up to the cable cars to go to FIRST mountain, it takes you all the way to the top (around 30 mins) from their we decided to participate in the Zip Wire, Go karts and Trotti bikes - warning...not for the faint hearted but i would 100% reccomend you do this when visiting, it was the best experience of my life! We ended the trip with a tipsy meal at Barry's with our newly recruited friend Evie from Canada (a positive from staying in hostels - more friends!). 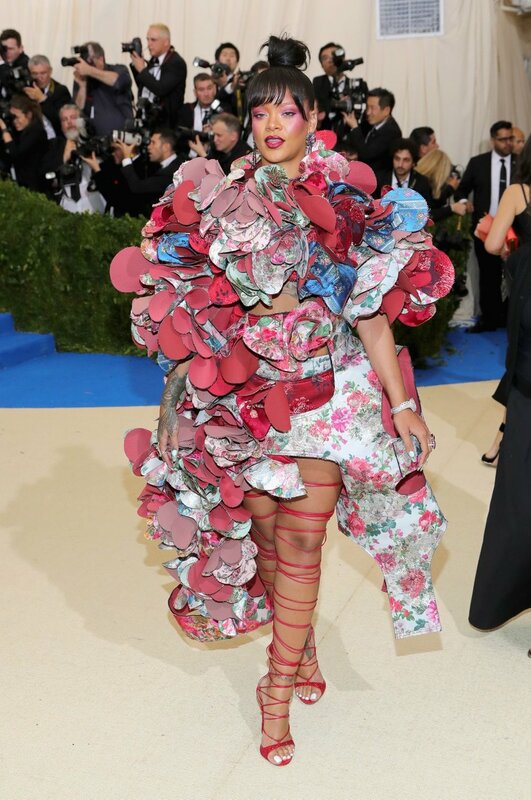 The 2017 Met Gala red carpet was one of the craziest yet with some celebrities taking the theme just a little too far….Attracting over 100 hundred beautifully/strangely dressed stars to the the Metropolitan Museum of Art in New York to open its Costume Institute’s latest exhibition: “Rei Kawakubo/Comme des Garçons: Art of the In-Between” (a show that examines the work of the famed 74-year-old Japanese fashion designer over the span of 40-some years). As always it was hard to choose the best dressed, especially on a red carpet like this. But there were a handful of women who stood out for us: from Selena Gomez in Coach (simple & elegant), to Katy Perry in Maison Margiela (Crazy outfit), and Rihanna in Comme des Garçons (love or hate, but still spectacular)—then Zendaya in Dolce & Gabbana (to die for) and Ashley Graham in H&M—here are our top picks for the most memorable looks at the Met Gala this year. All snaps by Getty Photos.